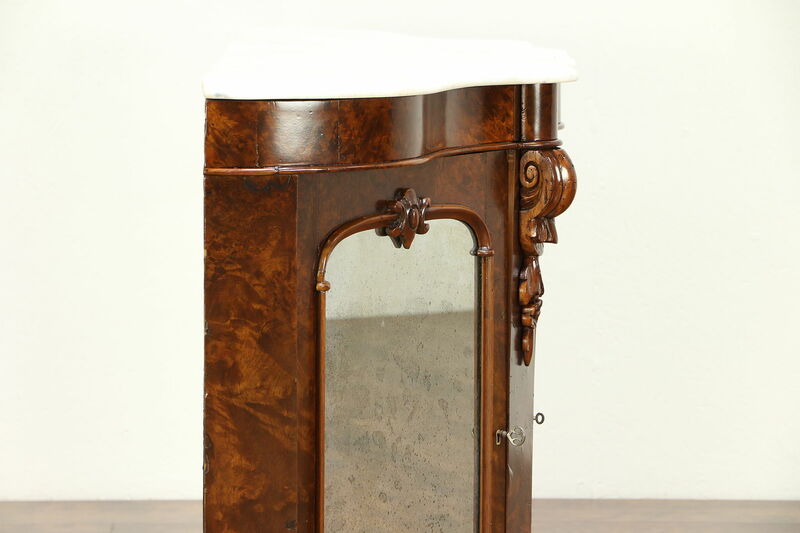 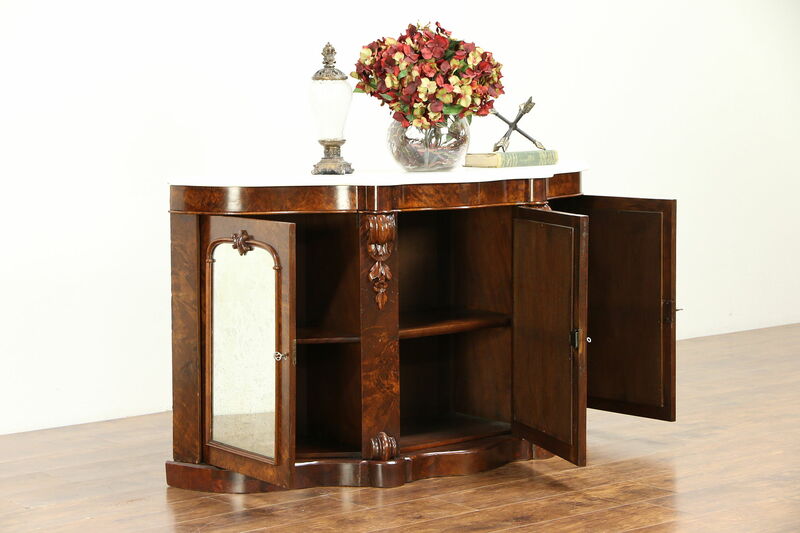 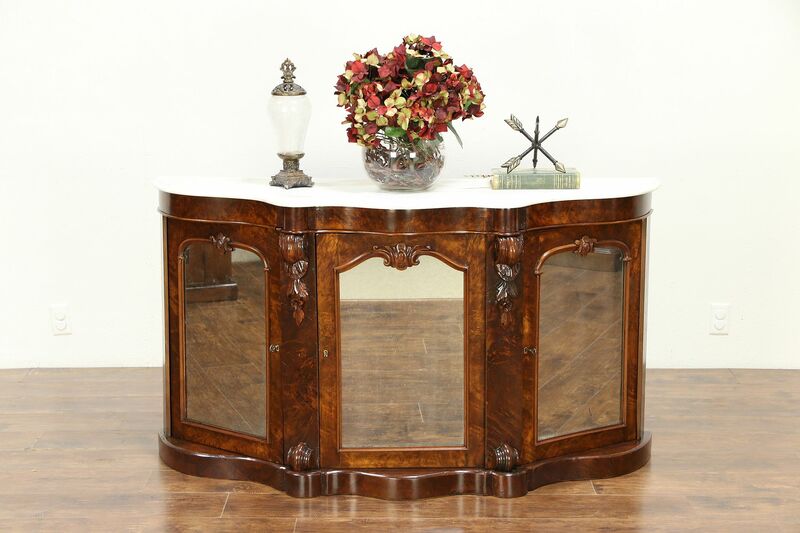 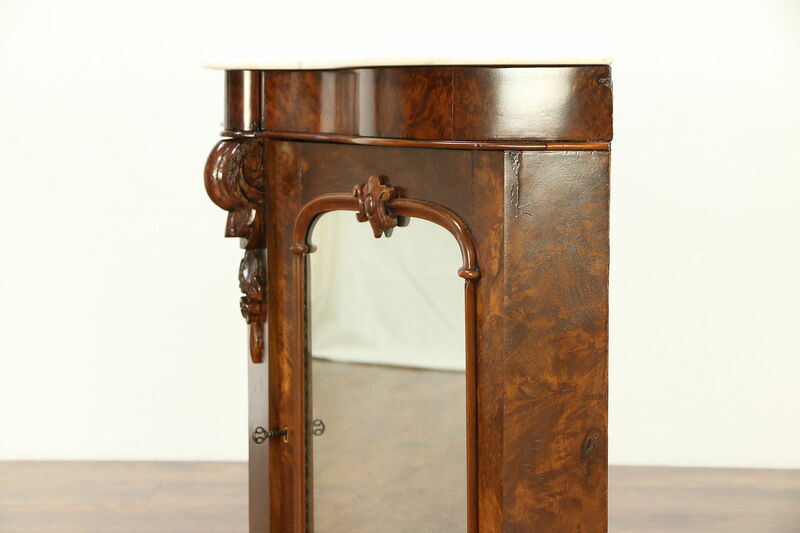 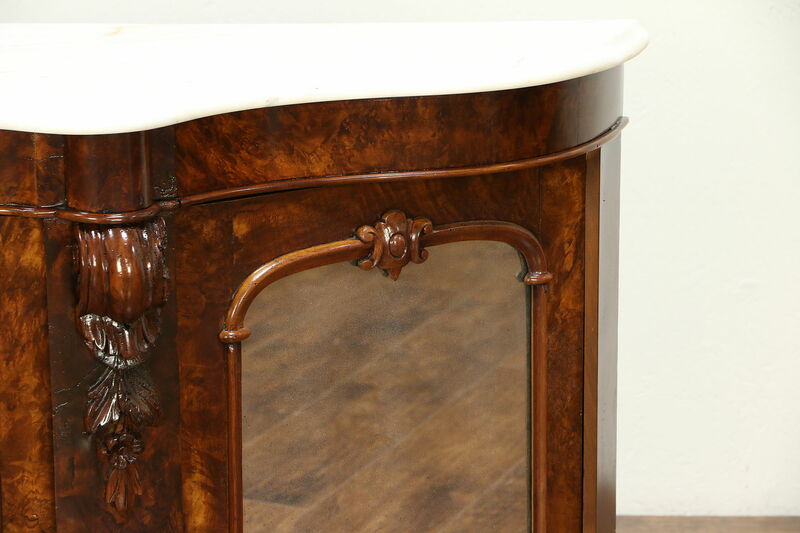 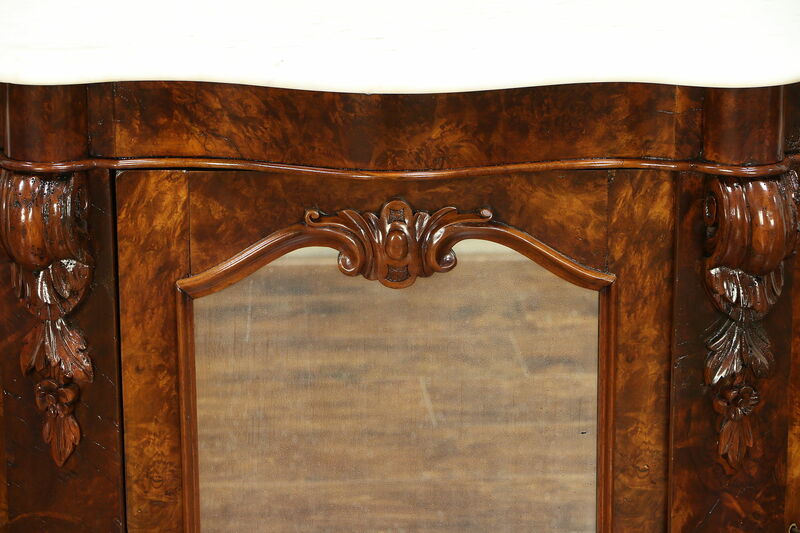 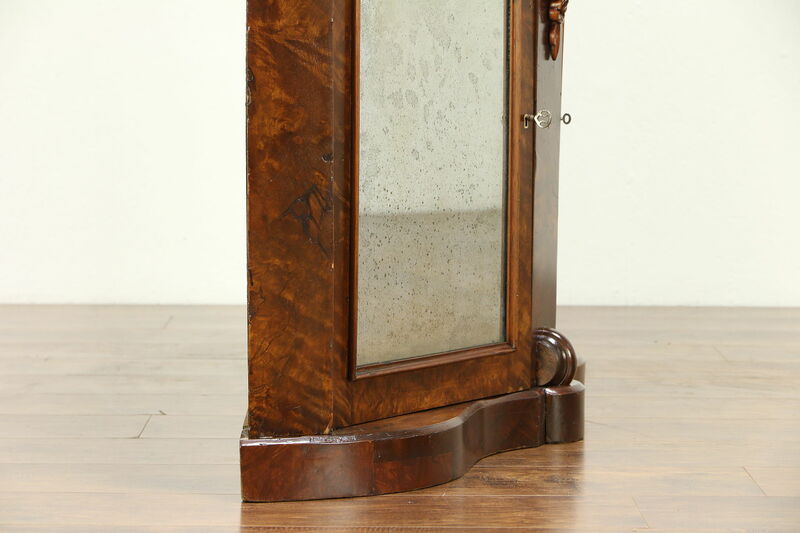 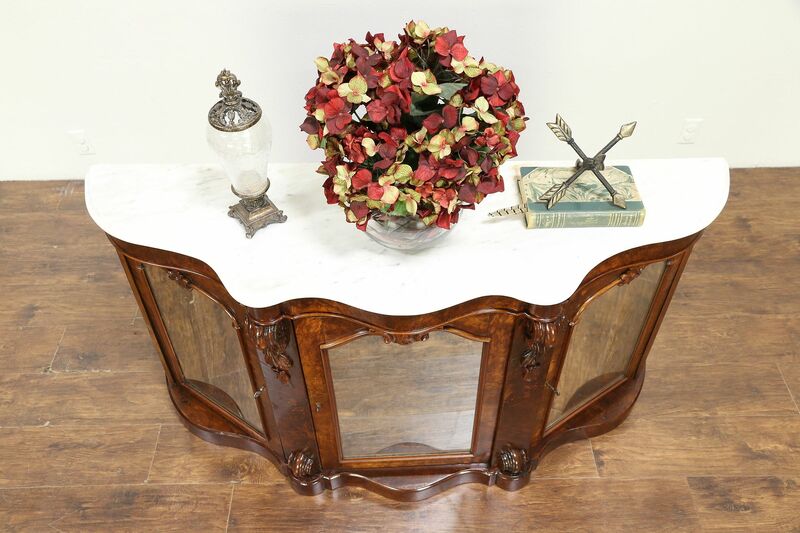 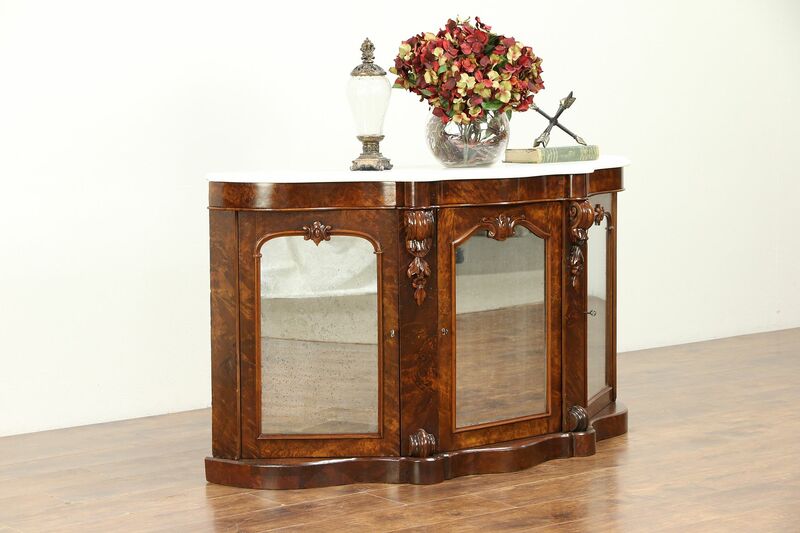 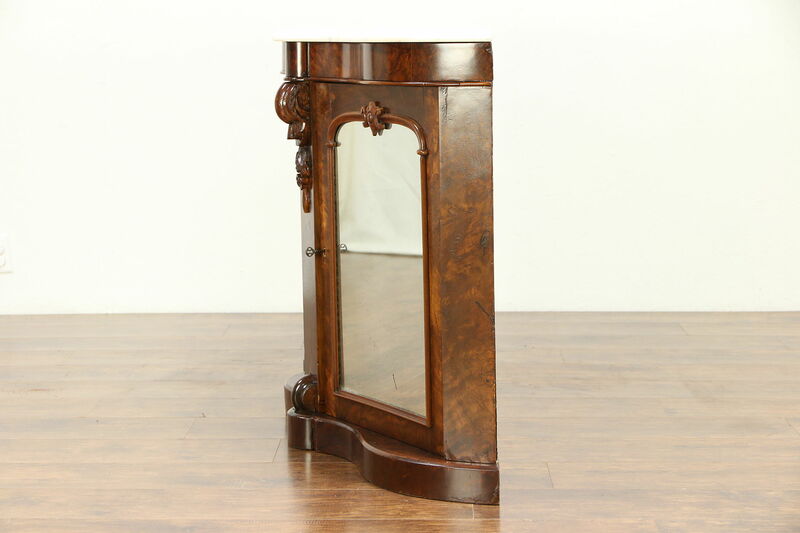 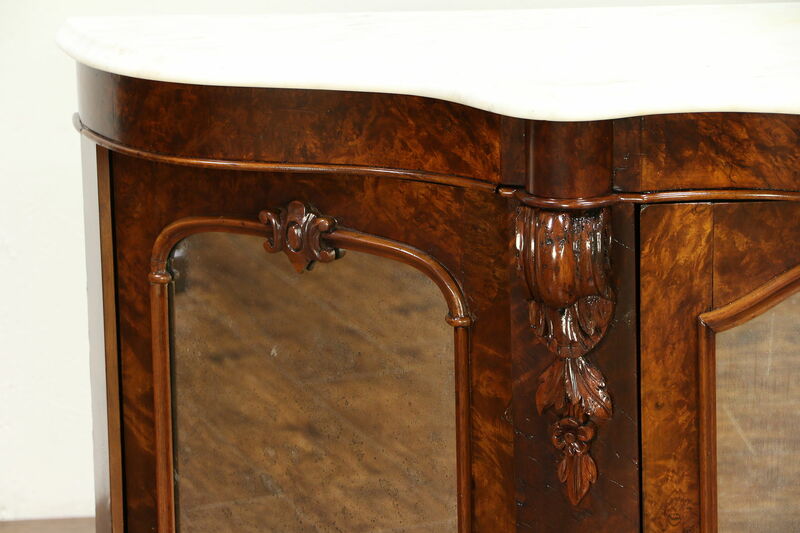 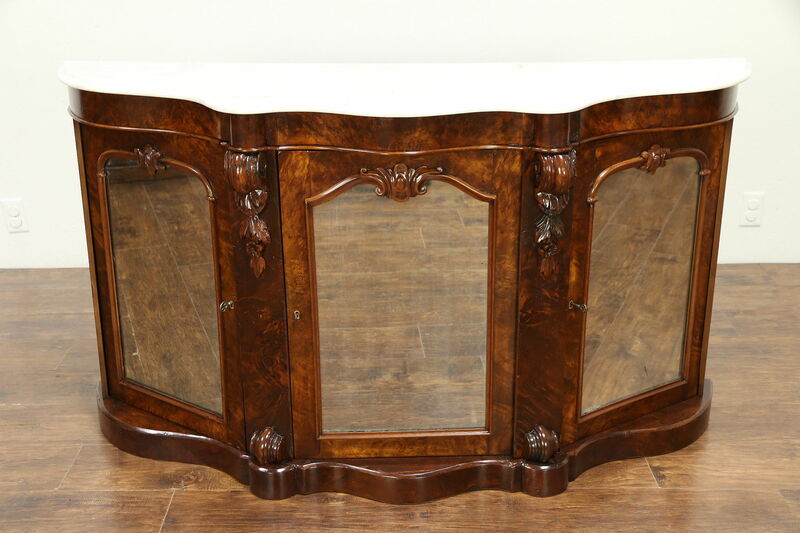 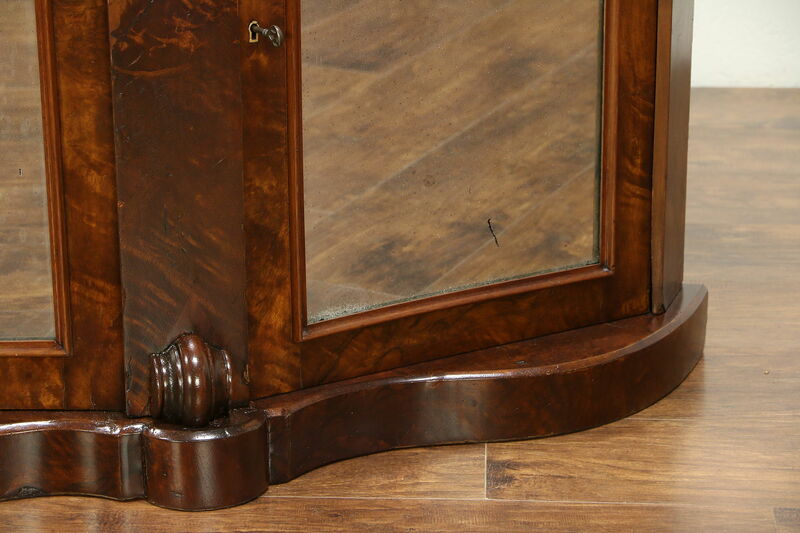 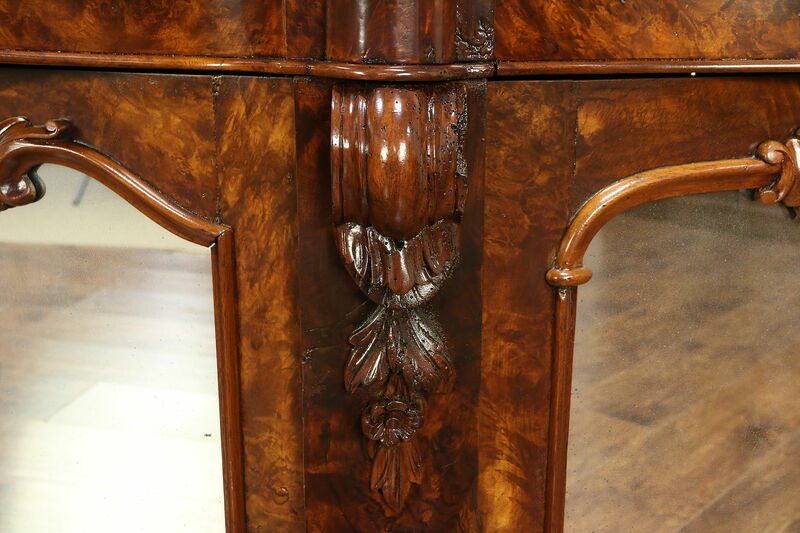 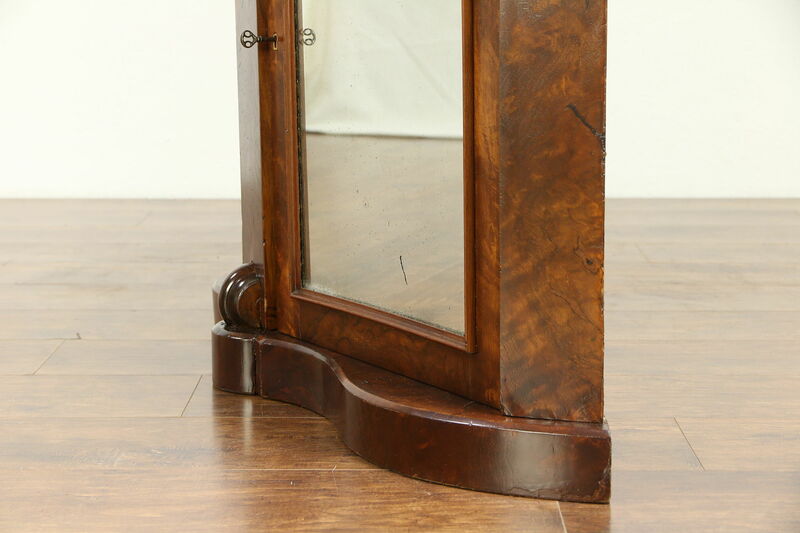 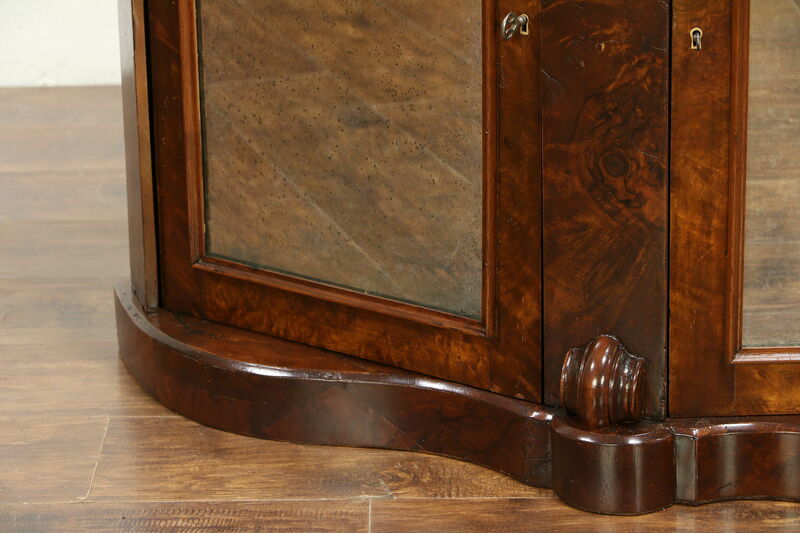 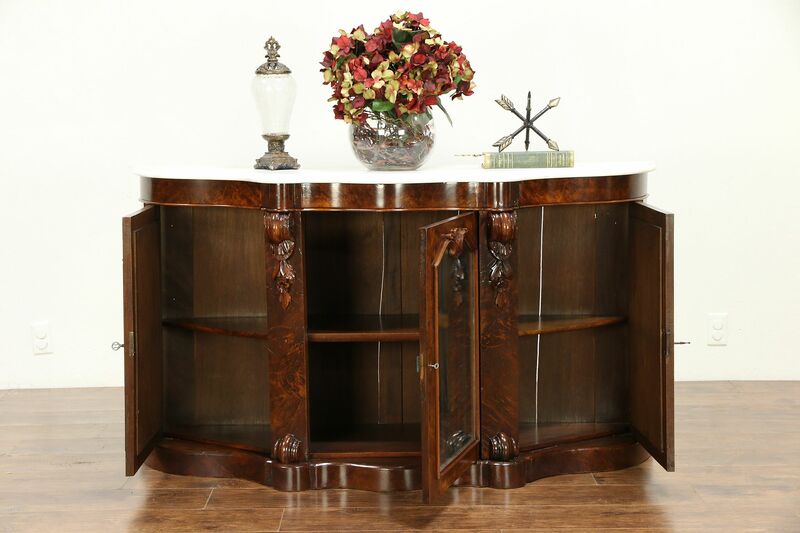 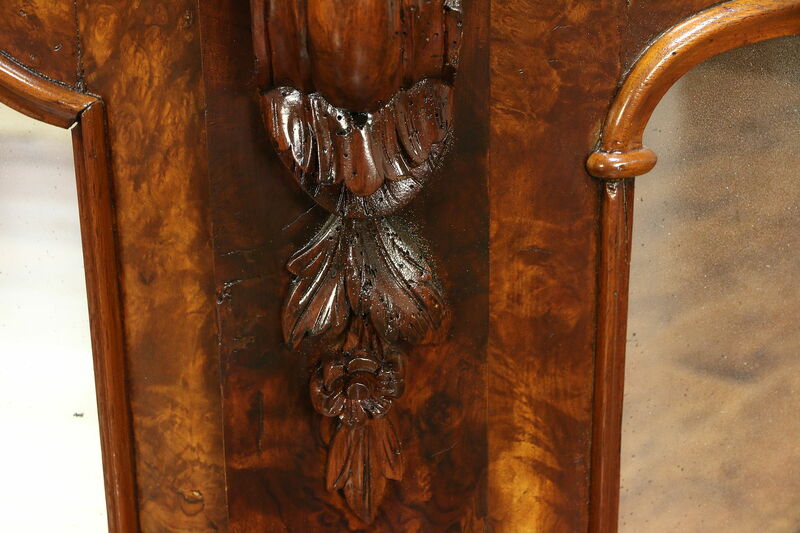 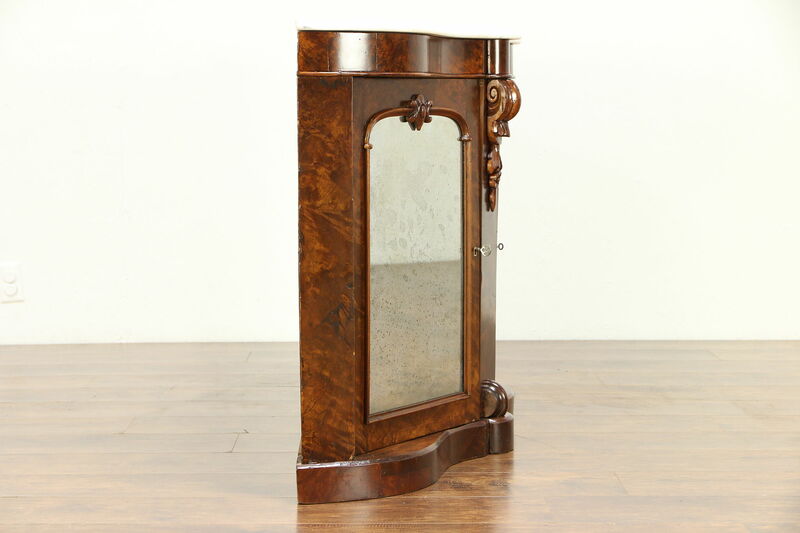 An elegant English sideboard, server or hall console from the Victorian period about 1870 was hand carved of walnut with matched burl and a marble top. 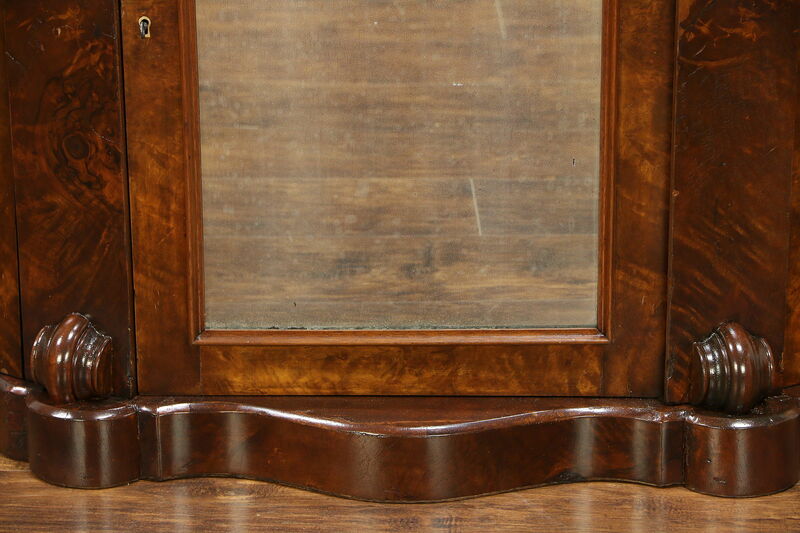 The restored gleaming finish is in excellent condition, preserving lots of restorations, shrinkage separations from age and mars as shown for antique character. 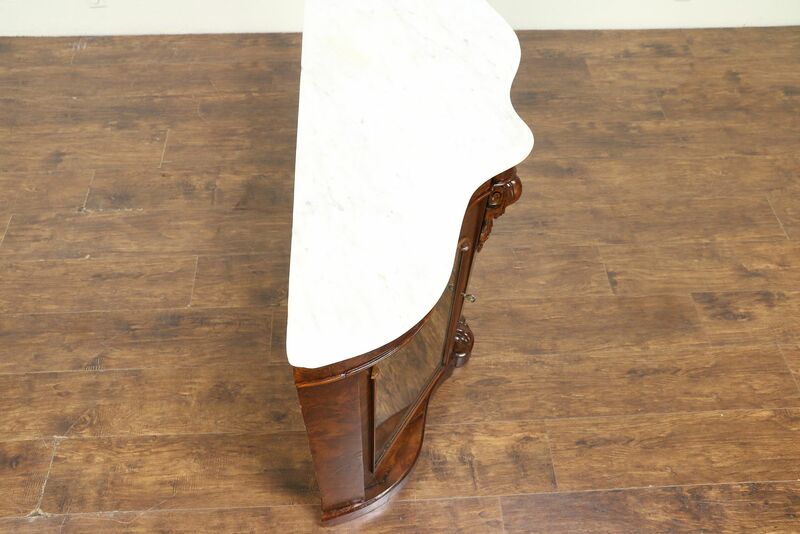 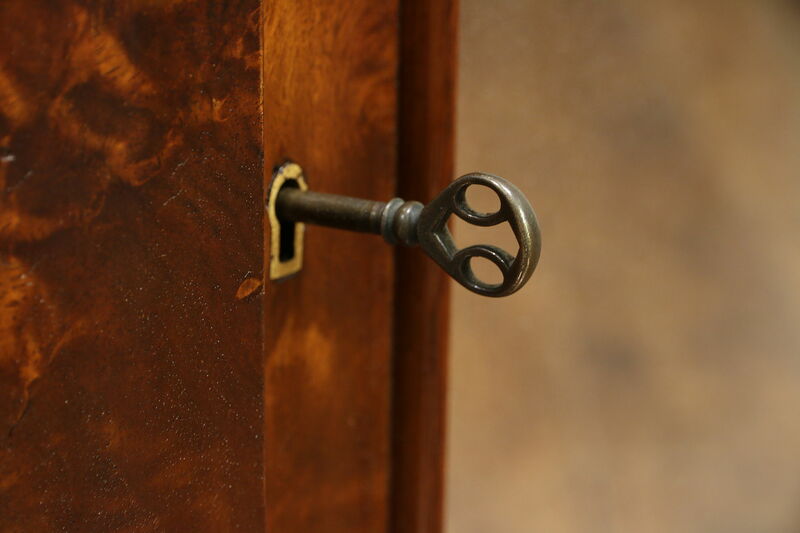 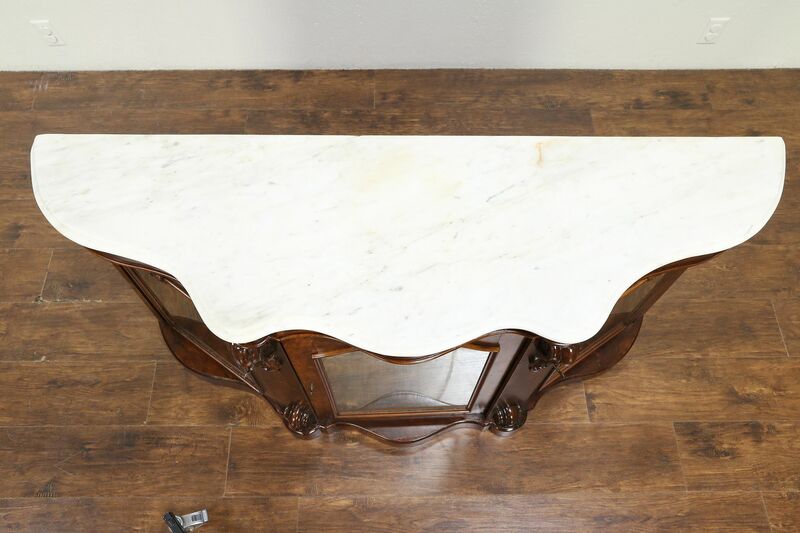 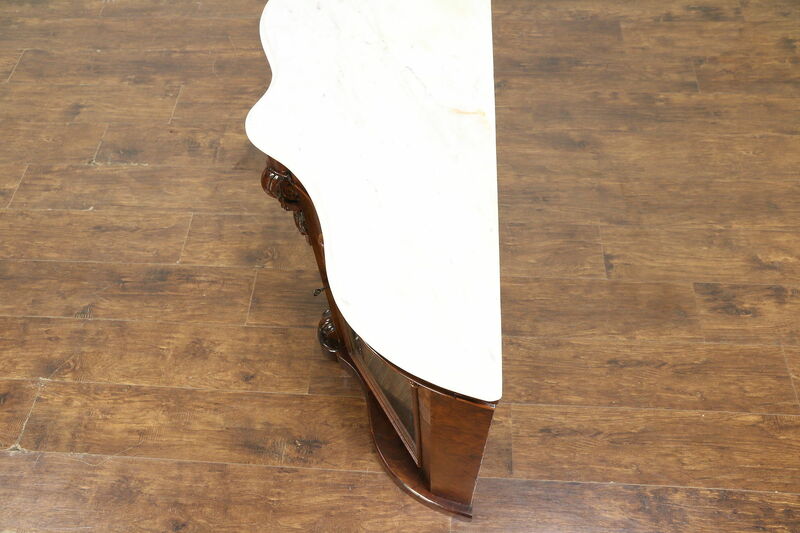 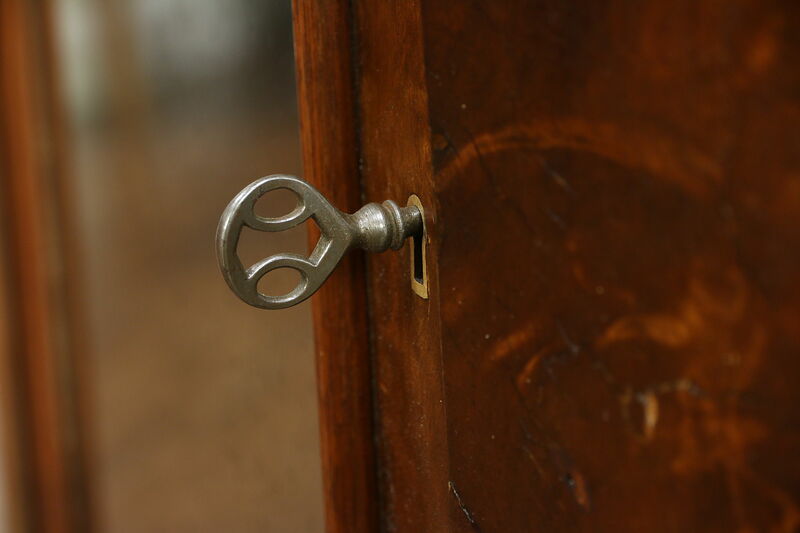 There are stains in the shaped marble, see photos, which has been polished and given a protective, low luster finish. 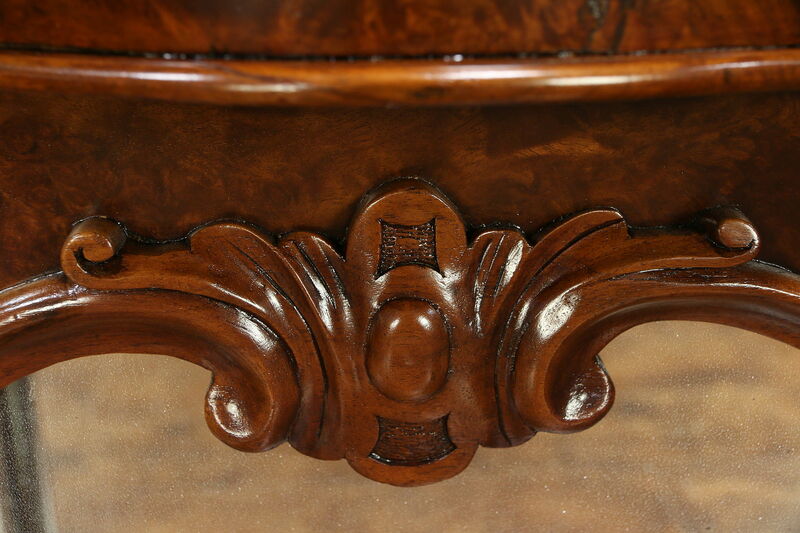 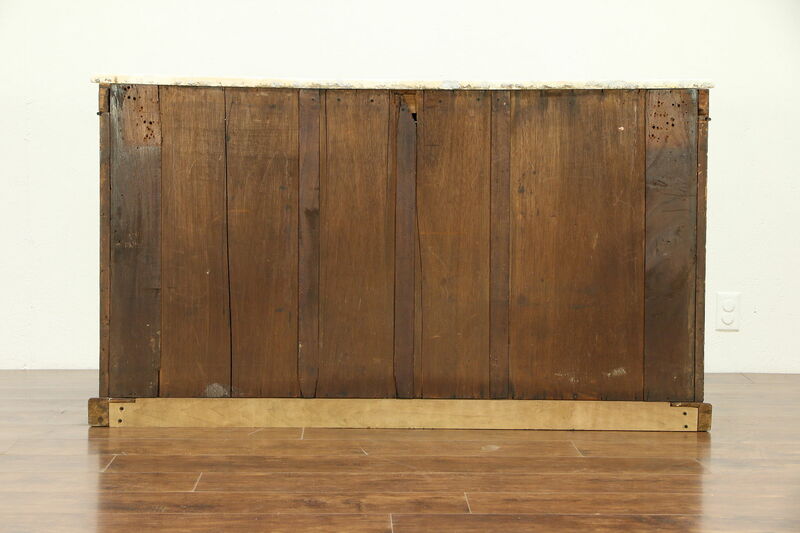 Measurements are 59 1/2" wide, 18" deep and 34" tall.